A NIFTY new device for seashore capers is the Water Skipper, a veritable magic carpet that will skim the surface at speeds up to 35 mph. One operator and passenger can ride the small, sturdy and maneuverable boat. Constructed of marine plywood, the Skipper is four feet wide, seven feet long and seven inches thick. On the deck are two sturdy posts connected at the top by a stationary aluminum handle bar for the operator and at the base by plywood, forming a compartment which serves as a seat and storage space. The stern is divided with a fixed 1-1/2-in. transom which can take an outboard from 3-1/2 to 10 hp. Speed is regulated by a hand throttle control and steering is done by simply shifting your weight. 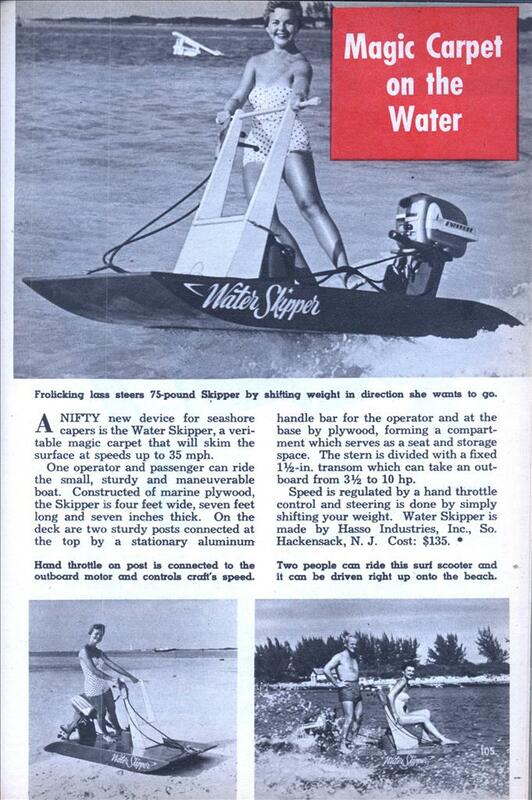 Water Skipper is made by Hasso Industries, Inc., So. Hackensack, N. J. Cost: $135. This looks like a great way to get seriously injured. It looks to me like the ancestor of the jet-ski. 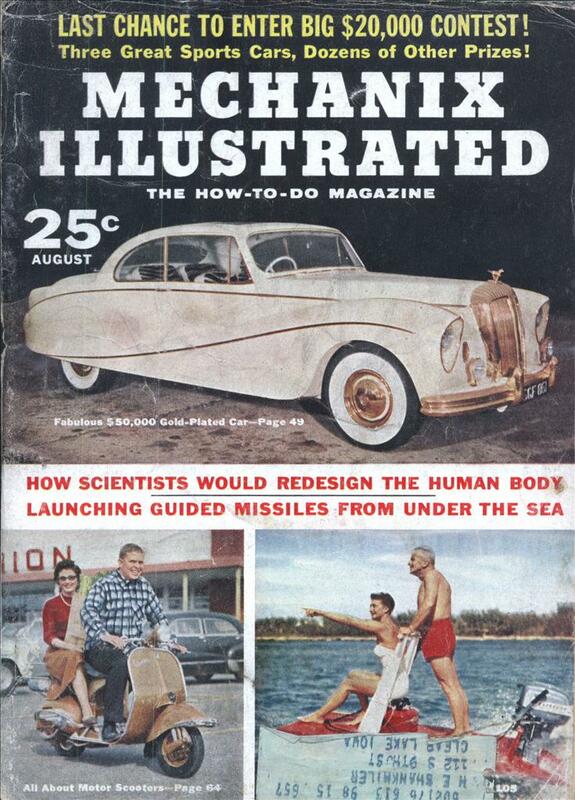 However, nowadays you’d be expected to wear a life-jacket.